Oh my! The Wallflower Style's first ever giveaway! //happy dance// Here today is Lindsay! She is a talented Canadian (represent!) artist who has created some pretty amazing jewellery that any girl would love to wear. 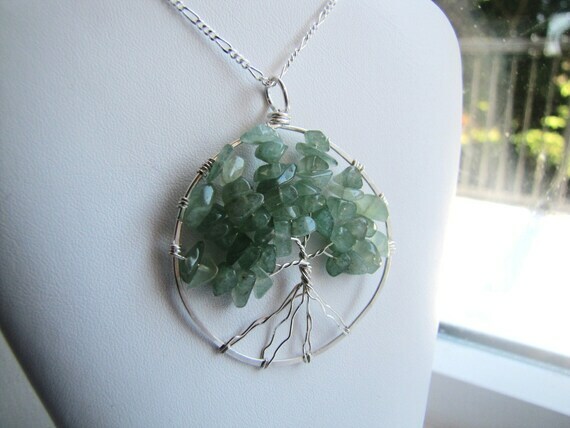 Her Etsy shop is SunshineJewls and her regular online shop with the same name Sunshine Jewls are filled with elegant pieces that reminds you of a white sanded beach and the bright clear blue ocean. Enjoy the quick interview and scroll down for our giveaway! Please tell us a little about yourself, Lindsay. Hi! I'm Lindsay, I live and breathe the beautiful west coast with my two amazing little boys, my high-school-sweetheart-turned-husband and precious chocolate lab Bella :) When I'm not busy designing or creating, I'm usually chasing my kids, cooking, playing sports, reading, cooking or shopping! What first got you started into crafting? I have always been into crafts since the day I discovered my local "Michaels" store. Sketching and acrylic painting were my favorite. When I was 12, one of my friends gave me a vial of beads and taught me how to make a necklace, and my passion blossomed from there! I started selling at a local gift shop, and since have grown to sell my pieces in several shops on Vancouver Island, as well as online in my etsy shop! Do you get any artist blocks? If so, how do you get out of them? I play! I used to spend hours twiddling my thumbs staring at beads, twisting wire, trying to come up with something (especially during the hectic Christmas rush), but I have learned that there are times I need to put everything down, go play outside, walk on the beach, go for a hike, soak in my surroundings! When I am enjoying myself that is when I get the most inspired to be creative and design the best work. What is your favourite piece that you have created? How would you describe your crafts in a sentence? Modern, simple, everyday, nature-inspired designs. Contest ends on April 20th, 2011. OPEN WORLDWIDE. I follow your blog & I like the "cluster . swarovski crystal . white pearl . bridal hair pins"
I am a follower! My favorite item is the "blossom . carved bone rose . freshwater pearl . quartz . swarovski crystal . necklace"
I follow you on GFC. I love the wealth dark green jade briolette crystal beaded necklace. Beautiful spring color. I hearted her etsy shop (ninajoleisa). I adore the vial of life vitrail medium swarovski crystal teardrop pendant necklace! wealth . green jade . briolette . swarovski crystal . beaded necklace! My favorite is the snakeskin fire agate silver swirl teardop earrings. cnjceramics <3s you on etsy. 505clayspace follows you on twitter. this is my favorite item: "ribbon bow . sterling silver . pendant . necklace"
I am a new follower and my fav piece from your shop are these earrings http://www.etsy.com/listing/70752619/lemon-sorbet-lemon-quartz-sterling ! I love the coastal star . swarovski crystal . sterling silver . starfish pendant necklace! I hearted SunshineJewls on etsy! Following your blog (ksyshenka)and I adore set of 5 cream pearl swarovski crystal pins! I love this adorable bird nest necklace! Congratulations on your 1st giveaway, keep the ball rolling! I simply adore the Copper Mine Earrings, breathtakingly beautiful! I heart SunshineJewls on Etsy (jcloh), thank you. I follow and I like Cupcake Earrings. I'm a follower on GFC, and I LOVE the Circle of Life Necklace - simple and beautiful! I follow you via GFC, and I like their petite cluster bird's nest necklace. I heart them on Etsy. Just wanted to let you know that your giveaway was listed on my site. If you happen to have any other internationally open giveaways, I'd love to hear about them! I loved the speckled starfish . swarovski crystal . freshwater pearl . cluster starfish necklace. I'm a follower and my favorite is the amethyst tears swarovski crystal teardrop earrings. I follow and I love the wealth . green jade . briolette . swarovski crystal . beaded necklace! i follow on gfc and love the petite cluster nest necklace! I love the small round birds nest ring in silver! I hearted her on Etsy and my Etsy name is HappyHummingbird. New follower :) I love the lemon sorbet necklace! I follow you on GFC and my favorite item is amore . fuchsia heart . swarovski crystal . sterling silver . earrings, I love the hearts! I heart SunshineJewls shop on etsy as luckysluna. I follow SunshineJewls on twitter as @luckysluna. I love the Cubist blues, swarovski crystal, sterling silver, square pendant earrings. They are gorgeous! I hearted SunshineJewls etsy shop. My username is ConBdeBelleza. I follow sunshinejewls on Twitter too (@GabrielaGLC). But for the sake of this entry, I will say that among my most favorite favorites are the Icy Volcano Necklace, the Cupcake Cherry Cluster Earrings and the Crackled Snake Fire Agate Earrings. Following your blog and love the large cluster birds nest earrings. I follow via GFC! My favorite item is the petite anchor hand formed sterling silver necklace. I became a follower of The Wallflower Style. I've checked out the SunshineJewls' shop and I really like the amber sunset . swarovski crystal teardrop earrings. I Hearted the SunshineJewls shop. debbiesfiberwork is my etsy name.